Wednesday meeting really hit home with me and it continues to unfold. 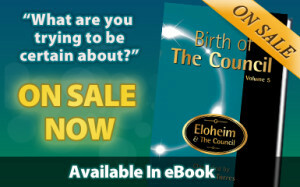 I know I am what Eloheim terms and “overachieving lightworker.” I have sought answers to questions my entire life and not always in a relaxed way. Of course the answer to “Who am I?” has long been sought. Hearing the Council address how this isn’t a question we are even meant to answer, but instead to ‘abide in’ was such a wonderful relief to me. It took me out of seeking and into being at a level I hadn’t accessed before. 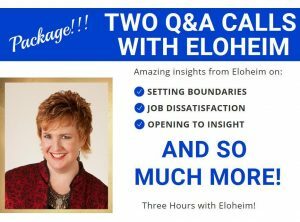 Eloheim: You’re here because you want to be here so that you can answer the question and explore the question “Who am I?” You are a question that you are exploring forever. The Girls: Simply by taking a breath you have earned your place here. Every heartbeat is the only requirement for existence on this plane. You don’t have to do anything special to have your spot. Warriors: When you’re a question you’re constantly able to move and flow, to bend like the reeds, to sway like the trees. It makes you one with the movement of nature. It makes you one with the changing of nature. Before I listened to Being The Question of you, I had gotten so insight on waking up in the morning and written down much of what you said….so when I listened to the tape it had great power for me. So much so that I had to sleep for a couple of hours; this happens when I ‘get’ something big in profound way. My battery goes flat. This Being the Question of me allows me to be more of me, more of the wholeness of me, it is so creative, so open, so fluid.